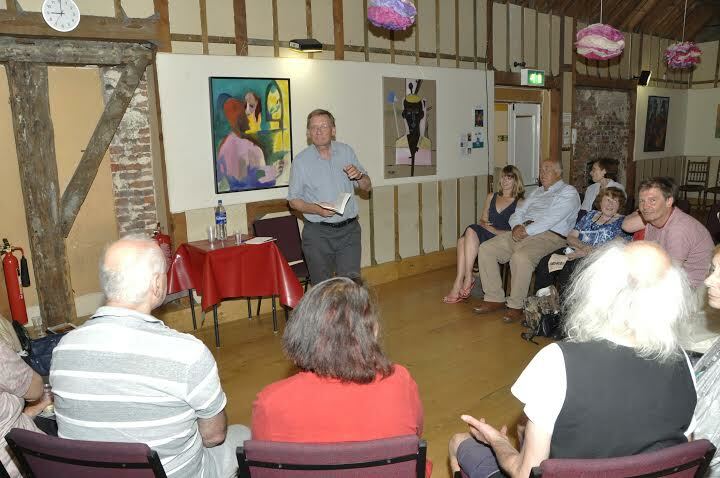 John Greening has just completed two years as Royal Literary Fund Writing Fellow at Newnham College, Cambridge (https://www.rlf.org.uk/fellowships/john-greening/) and now runs the RLF Reading Round Series at St Neots Museum, Cambridgeshire, and conducts audio interviews for the RLF’s Writers Aloud series. He lectured in 2017 the Harry Ransom Center, Texas in December 2017, and this can be heard at https://liberalarts.utexas.edu/britishstudies/Lectures/Audio-Recordings.php. In November 2018 he is lecturing on Edmund Blunden and reading his own poetry at Baylor (Waco, Texas) and the University of Ohio in their Authors at Alden series. He was a Tutor alongside poet Jo Bell for the Arvon Foundation at The Hurst in late 2016 (http://www.arvon.org/course/poetry-tutored-retreat-2/) and has run courses for The Poetry School, for whom he also chaired the 2016 T.S.Eliot Prize Preview at the Southbank Centre, London. His popular poetry workshop at the Indian King Arts Centre, Cornwall ran for over ten years and has included established poets and relative beginners, many of whom have gone on to publish in magazines or to bring out full collections. In 2010 he was invited to become a Fellow of the English Association. He has lectured on Jon Silkin (the first Memorial Lecture), Vernon Watkins (at the Swansea Dylan Thomas Festival) and recently on the poets of the First World War at Ledbury Festival. He has published student guides to both the Poets of the First World War and to W.B.Yeats. These books are suitable for A-level or university students as well as for the general reader. ran a series of poetry readings in the Saloon of Kimbolton Castle. For further information, see the contact details.